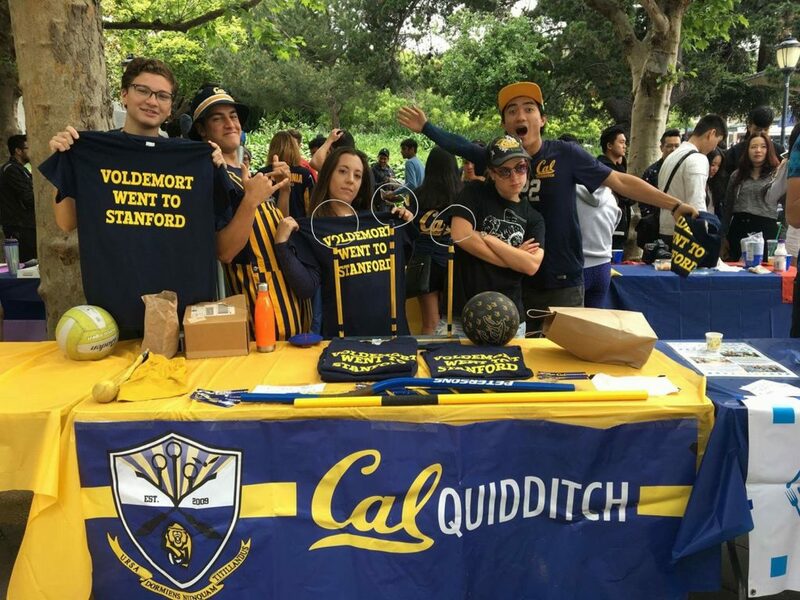 Author Ardin Lo is the current captain of UC Berkeley (Cal Quidditch) and Jenna Bollweg is the former president and head of public relations for Texas State University. 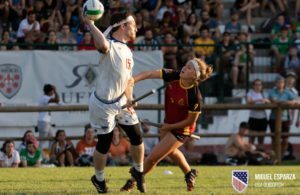 This is part one of an ongoing series by The Eighth Man outlining how* to set up, sustain and grow collegiate quidditch programs in the U.S. The first step for any team’s recruiting process is to evaluate your team goals well before the season begins. If you’re a small team at a small college, focus on retention of the players you do recruit to solidify the foundation of your program. If you’re at a large university, focus on casting a wide net and trying to get as many people to your events as possible in order to spread awareness. All it takes is one good class of recruits to turn around or define a program for years, and there’s no better time to start than the beginning of the school year. The early bird gets the worm—that should be your team’s mantra during recruitmentseason in terms of trying to snag freshmen and other new players. Your competition is other clubs and activities, and you want to draw interest before other clubs. Start by tabling or flyering in highly-trafficked areas such as your school’s central plaza or “quad,” outside dining halls, the student recreation center, where you practice or anywhere else where you can draw lots of eyeballs as early as possible. However, be sure to go through the proper outlets, as most schools have strict policies on when, where and how organizations can table. 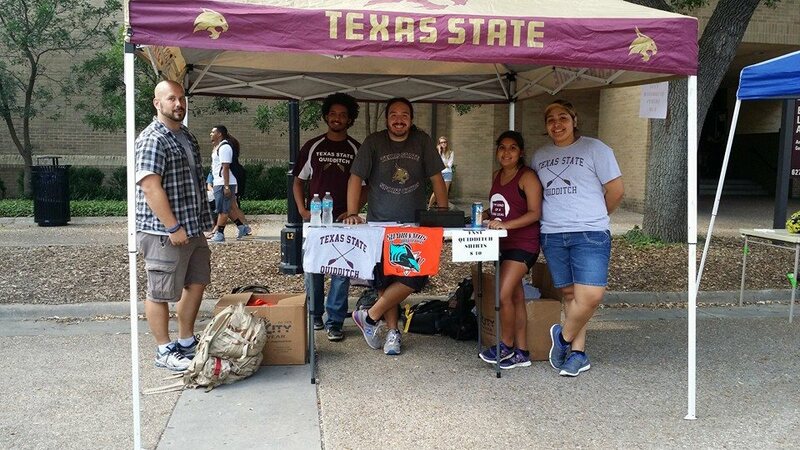 Tabling opportunities might occur before school starts such as during freshman orientation or at a student organization fair. 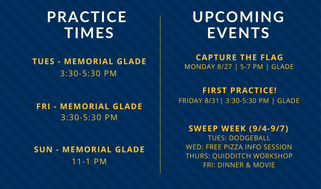 Ask your advisor, your school’s student organization council or an equivalent party about events like these and how you can sign up. Tabling outside large classrooms during passing periods–when people are entering and leaving the class–can also be effective. Will I make meaningful connections? Does it take more time, effort and/or mental stress than I can afford? Will I be proud of it? Students almost always consciously or subconsciously ask themselves these questions when considering what organizations to join. 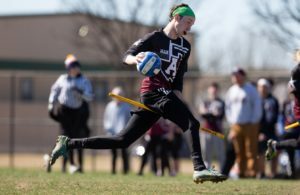 This means that even though you understand the gospel of spirit of St. Quidditch, no matter what, you have to be objective in the angle you take when face-to-face recruiting for a college team. That means you can’t assume that the selling point that reeled you in years ago will be the same selling point for your recruit. That’s why your face-to-face recruitment “spiel” should be concise, yet adaptable based on your audience. Delivery also matters. You might prefer to speak to one person at a time, however, if someone else interested in quidditch walks by the table and sees you being closed off to one person quietly on the side, they’re either going to feel intimidated by the social roadblock of “interrupting” or they’re not going to want to waste their limited time by waiting on their “turn.” That’s why both your body and verbal language should be open, engaging and global–students are much more likely to listen to someone speak on a platform to an audience that they can easily walk-up to and walk-out of than being trapped in a one-on-one conversation that might be badgering, require them to sign-up for something or take up more time than they intended on giving. So your recruiters, tactics and setup should be modeled around this approach. When you do draw the interested eyes of students, make sure you have clear action items or events you can share to keep them coming back. Business cards or flyers with your practice times and upcoming events work perfectly for this. Videos and digital media are important because people might not always want to to talk to you– sometimes they just want to watch a video and take a flyer. Videos also allow passerbyers to easily digest the basics of quidditch if they’re pressed for time. Do not have students write down their info using pen and paper. You will be astounded at how many students have illegible handwriting, and you will lose potential recruits just because you can’t read their email address. Plus, you’ll have to type these emails up later regardless, so save yourself the trouble. 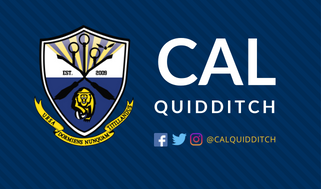 If the space and your school allow it, you can brings a few brooms, quaffle, bludger, snitch shorts and a medium hoop. After giving your spiel, offer them a quaffle and a broom to shoot the ball in the hoop–or a broom and a bludger to throw at one your existing team members–and everyone cheer when they make a goal or a beat. It can be a huge confidence booster to some of the shy people that approach you, and it makes everything a little less serious and scary. You can also have someone chasing a snitch around. Remind your players that they’re not there to scrimmage; they’re there to get people’s attention and recruit new players. If your school allows projected music in the areas you find yourself tabling, invest in a large speaker to play music. It usually leads to a much more high-energy and fun environment, which naturally draws people to your table. Any noteworthy accomplishments your team has achieved, such as “regional champion!” “regional runner-up!” “top 10 in the nation!” “top 10 in the region!” It doesn’t matter if there are only 10 college teams in your region and you’re dead last. This is verbal advertising, so you’re keeping it short and attractive. Meanwhile, at your table, have one or two people–on small step stools if you have them–deliver your program’s patented spiel to the audience. Make sure these people don’t block the highlight video–some potential recruits who would rather watch the screen than listen to strangers talk. Having two recruitment roles–the outside group to grab attention and hand out flyers, and the group at the tables to actually provide more information and collect emails–makes for a more efficient process. If the people handing out flyers stopped to talk to every person that wants more information, you’d miss out on all the other potential recruits passing by during that time. With two distinct roles, you can make sure to both draw in new recruits and engage with those already at your table, simultaneously. You can adjust this system to organize however many volunteers you have available at any time, but you should try to delegate at least one person to give our flyers and direct passerbys to the table, and one person to give the speech about quidditch and answers any questions and concerns. The next part of our college recruitment series will focus on retention. *Disclaimer: These recruitment methods have proven to be effective at UC Berkeley and Texas State and might not necessarily be applicable or effective for every school. 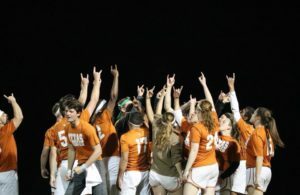 Each school’s student body and administration is different; this article will talk about what has worked for Cal Quidditch at the University of California, Berkeley and Texas State/Bobcat Quidditch at Texas State University. ← Previous Story Tulane is Going to Nationals, and Should You be Pissed About It?